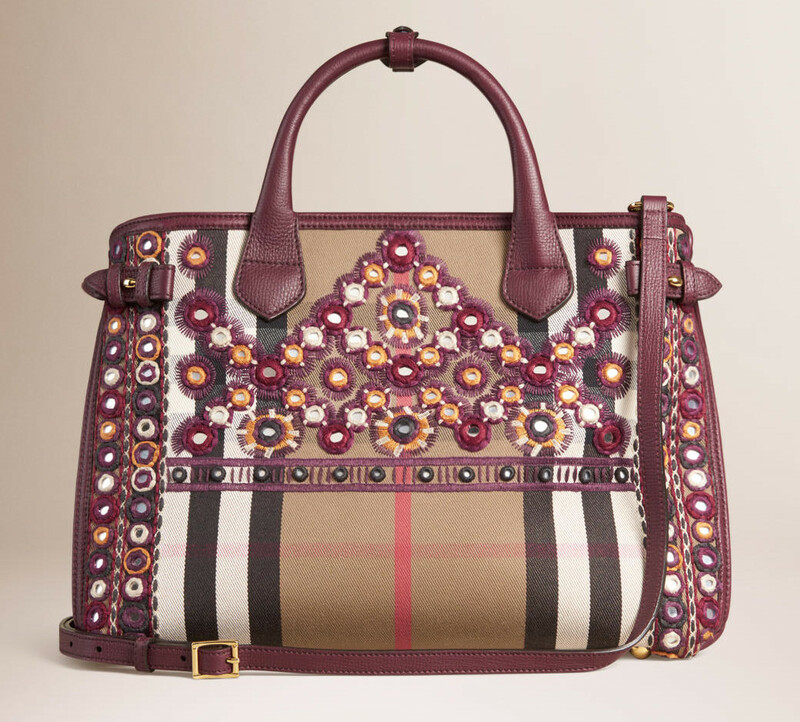 Burberry’s signature Banner bag dresses up for the season with mirror embroidery which enhances its overall appeal. The soft structured design with understated lines, multiple compartments and equestrian-inspired buckle fastenings is an ideal everyday bag. A must have for the new-season closet, the new Banner from the British fashion house is crafted from in House check cotton and calf leather trim. Inspired by the equestrian styles from the Burberry Heritage Archive, the Banner features side-buckle fastenings, hand-painted edges, a double magnetic stud closure and stud clip on rolled leather handles. 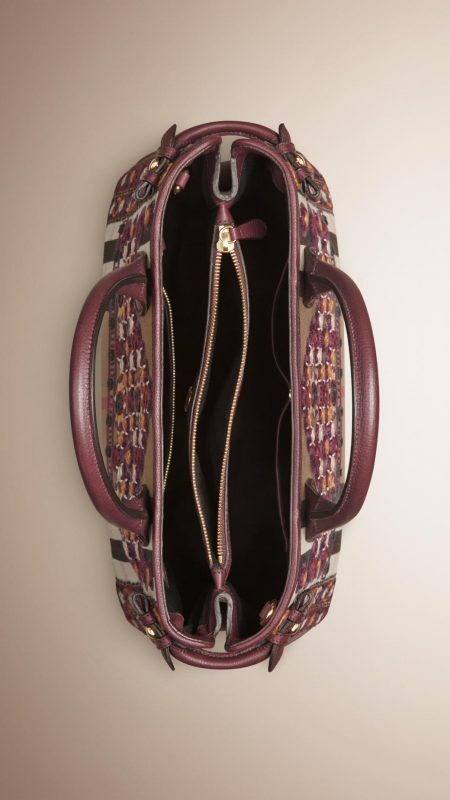 Fitted with a detachable shoulder strap, this tote is sized at 13.4 x 5.9 x 9.8 inches and features hand painted edges too. 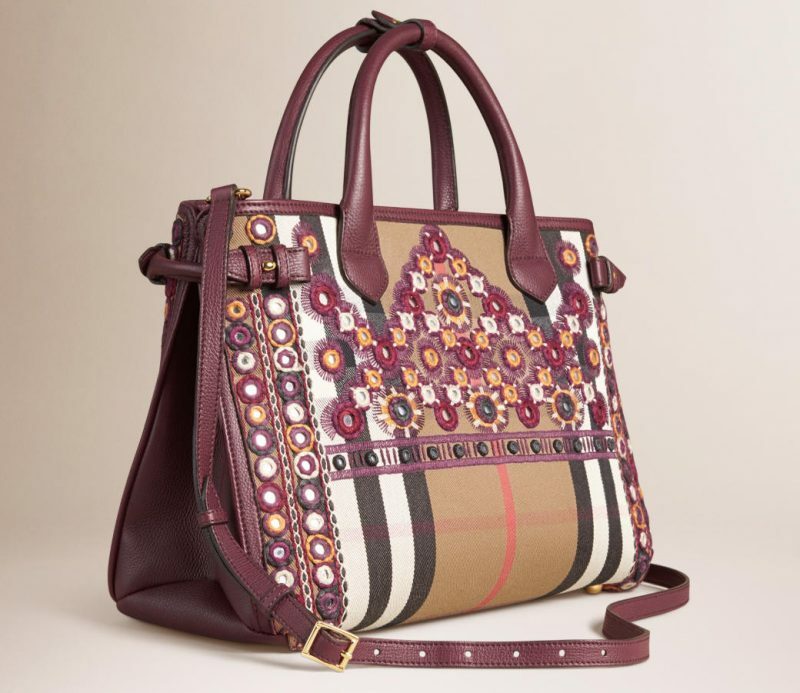 Grab the Burberry Banner with mirror embroidery for $2,995 and carry a dash of Asian touch up your arm with this English bag.